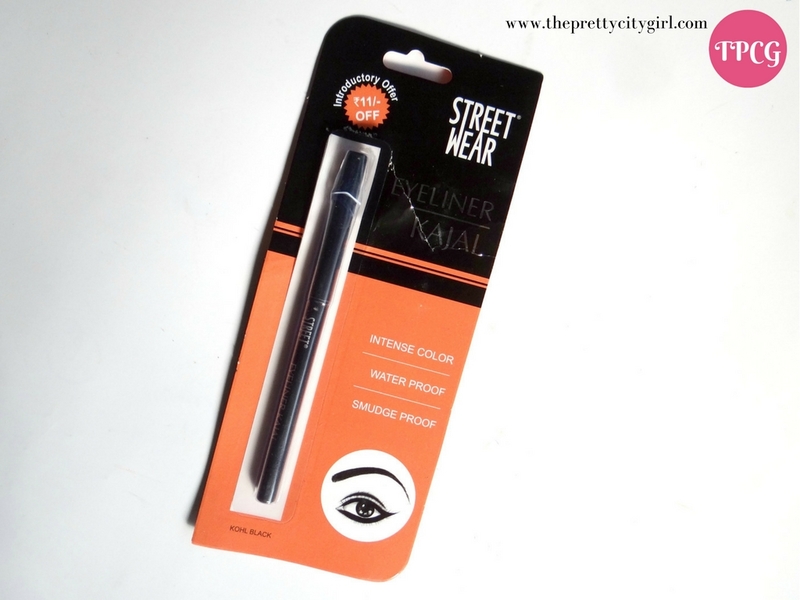 The eyeliner kajal comes in a stick, where you rotate the bottom to get the product out gradually. The stick is black with silver fonts embossed on it. 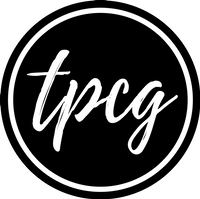 Overall, it's a good looking product. The application is smooth. 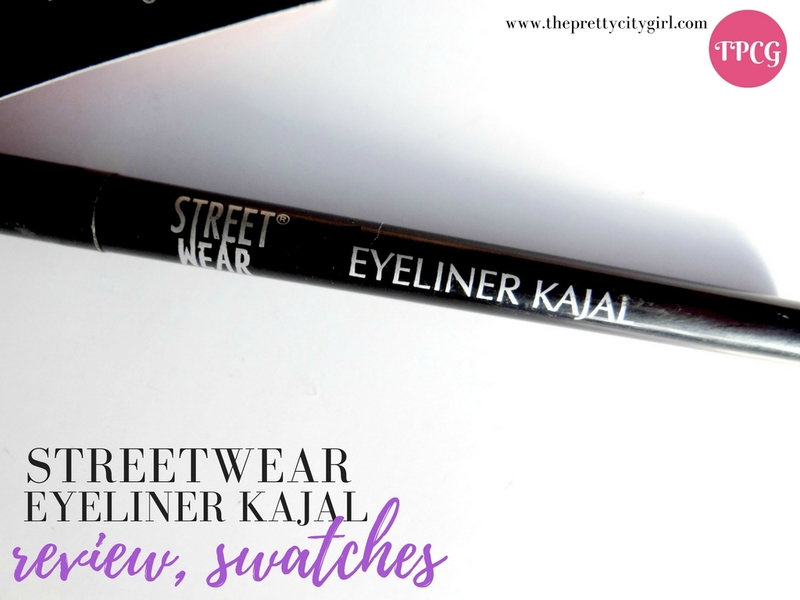 With one stroke, the colour is a bit less intense, however, after one stroke with pressure, or two strokes, the colour looks just like any other kajal in the market (which is definitely pleasing). The line, as you see in the picture, is not sleek, but is not too thick either. 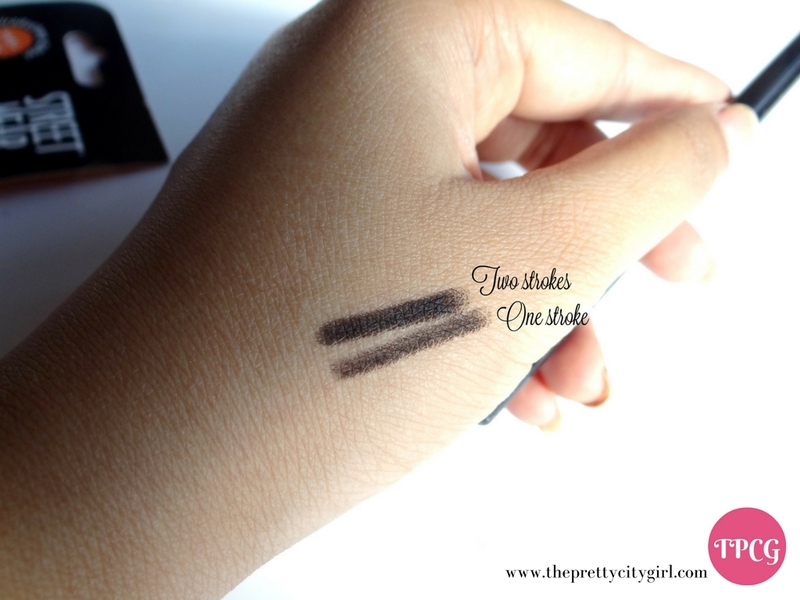 It's a perfect product for everyday eye makeup (especially for college students). It lasts for enough time, so no worries. Yes, just hoping the introductory ₹11 off stays for few more months! 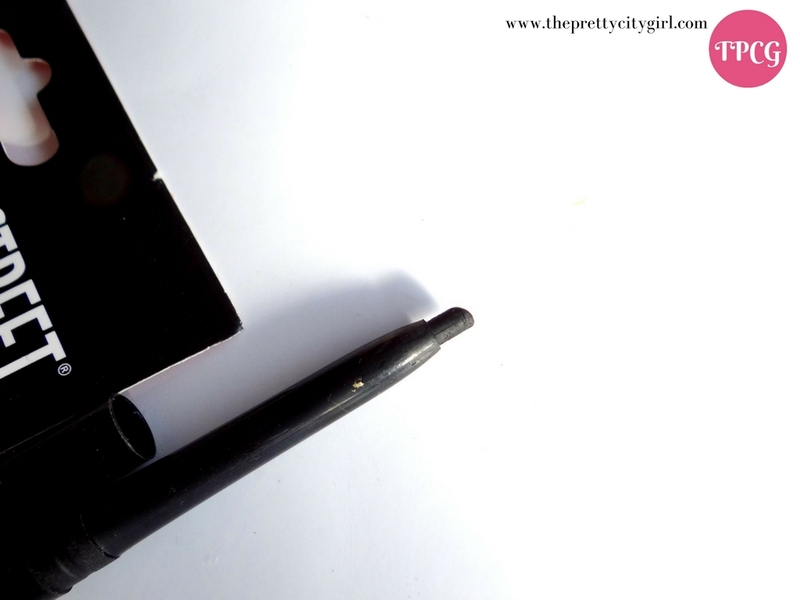 If you're getting a standard kajal pencil for little less, why won't you buy this one? Which is your favourite kajal?